A local farm is introducing a new festival that will be held next month. 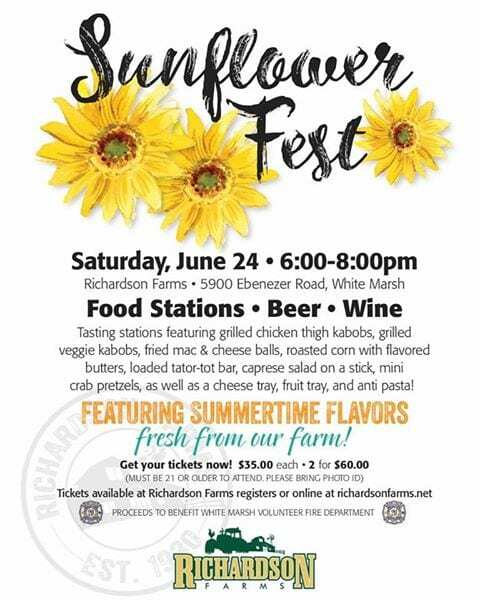 Richardson Farms announced on Thursday that it would be holding its first-ever Sunflower Fest. The event will be held from 6 to 8 p.m. on Saturday, June 24, 2017. 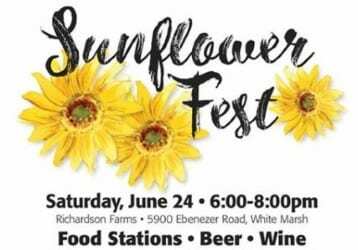 The event will feature food stations, beer, wine, and all proceeds will benefit the White Marsh Volunteer Fire Company. Tickets cost $35 each or 2 for $60. Attendees must be at least 21 years of age. For more information, visit Richardson Farms on Facebook here.